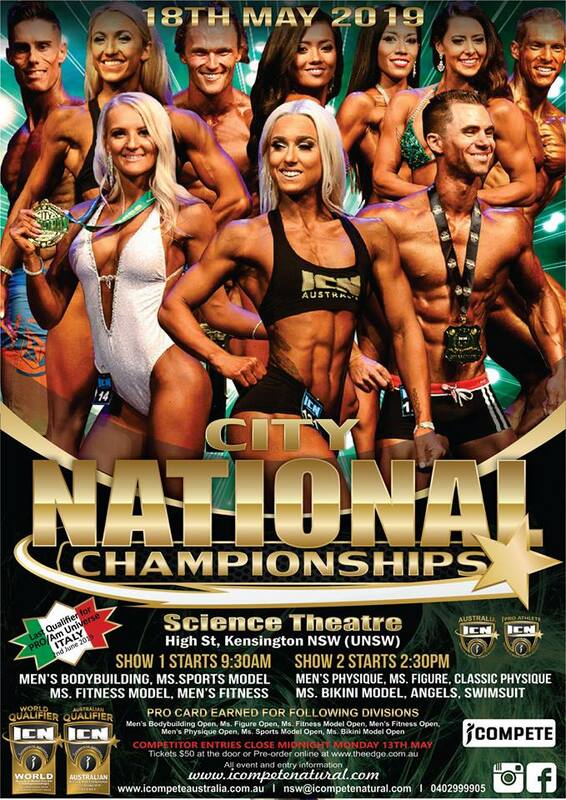 Watch bodybuilders compete live at the ICN 2019 City National Championships. Customers can buy multiple tickets but be quick as allocation seating is not available. www.theedge.com.au are the proud sponsors of the ICN City National Championships.